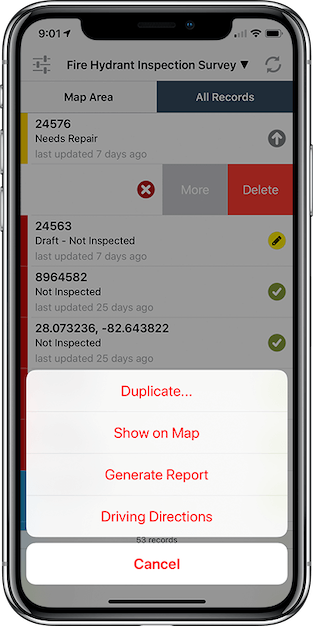 How to duplicate a record on the Fulcrum for iOS app. 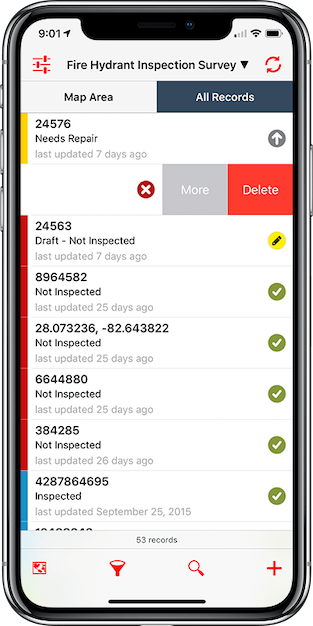 A record can be duplicated in the field directly from your mobile device. Any record can be duplicated by swiping left on the record from the iOS list view, selecting the "more" option. Then you can select the duplicate option from the picklist that appears. 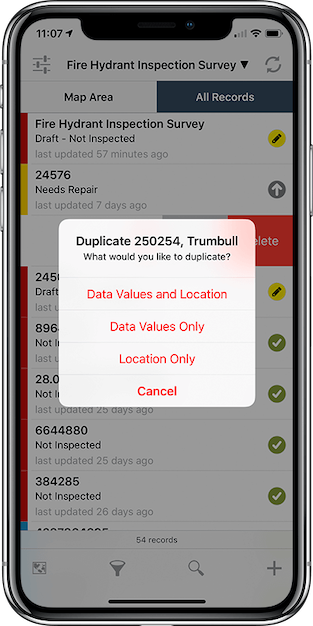 When duplicating a record you have three options: To duplicate the record’s entered in data values and location, to duplicate the entered in data values only, or to duplicate the location only. There is no way to copy media to a duplicated record. If you wish to copy any media files over, it will have to be done manually after the record has been duplicated.